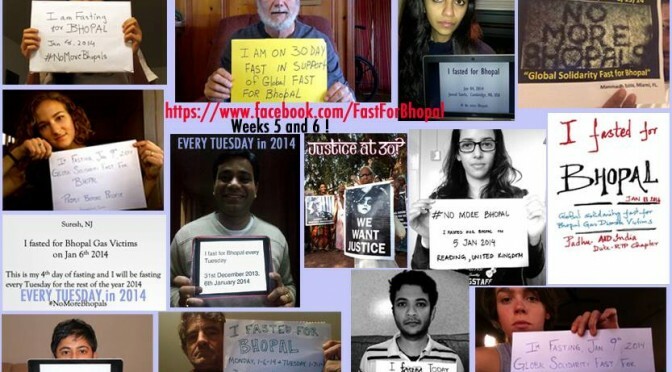 Here in North America we are seeking 30 people to fast on December 3rd for 30 hours to remember those who died 30 years ago and to bring attention to the ongoing struggle for justice in Bhopal. 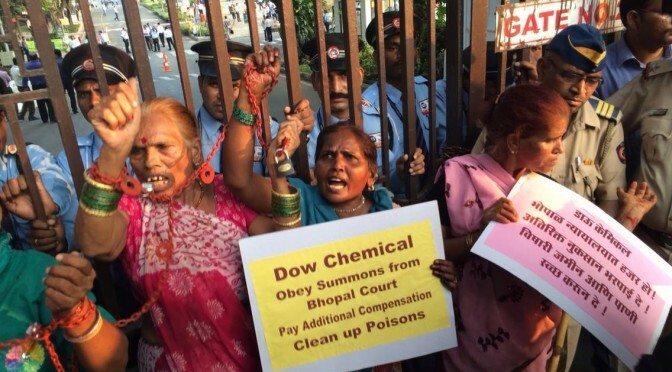 Bhopali survivor-activists chained themselves to the gates of Dow Chemical’s Mumbai office, demanding that Dow (1) obey the summons issued by a Bhopal court; (2) pay additional compensation and; (3) clean up the site. Bhopal: A Prayer for Rain, one of the first films to depict the night of the disaster, will be screened in NYC on September 18th. It is a moving story that details the lives of those impacted by Union Carbide’s negligence. Representatives of ICJB from India, the UK and North America will be in attendance at this event, as well as Martin Sheen, one of the stars of the film. Click here to view the film trailer. 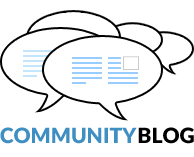 Only 100 people can attend this event so RSVP now!